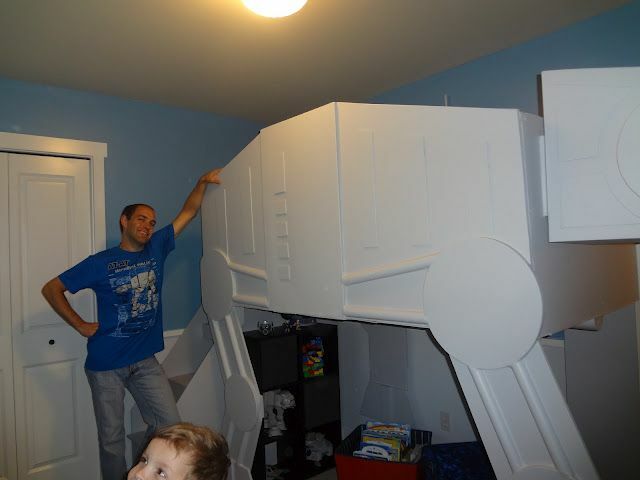 They thought of everything needed for a kid's room wrapped up in the epic coolness of this bed. There is built in toy storage in the stairs leading up to the loft bed. There is a window where the parent can check in on their sleeping Jedi at night. Provided the little guy doesn't Jedi Mind Trick his parents into thinking he is sleeping in his bed when he is really sneaking a midnight cookie snack from the kitchen. Plastic or no, the 3D detail on this bed rocks! 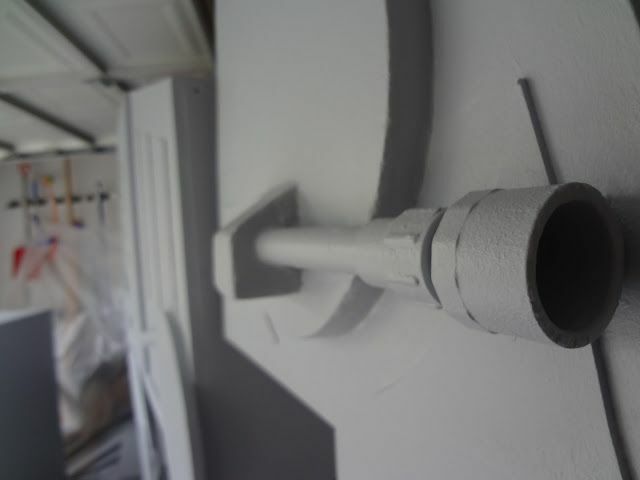 They used PVC pipe for the gear detailing and blasters. I'm sure you could green it up if you used wood dowels instead of PVC plastic pipe. I love how he designed it so it looks like the At At is taking a step. Bravo sir! Bravo! Totally F'ing cool. 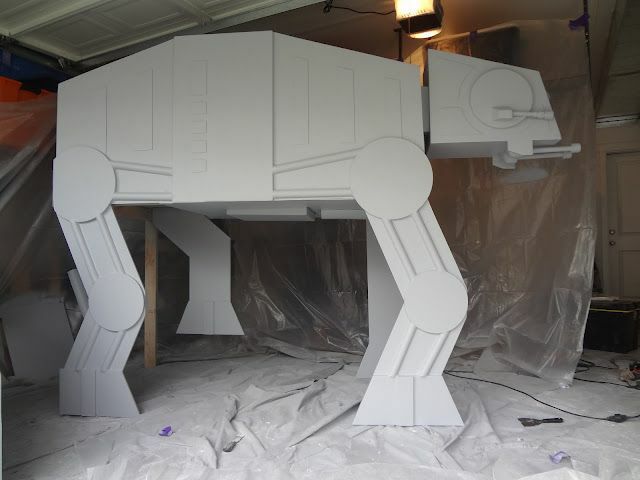 And I wouldn't lose a lot of sleep over using a few pieces of PVC, especially when it turns out so right.